Following widespread outrage over a passenger who was violently dragged off an overbooked plane, U.S. airlines are bumping customers at the lowest rate in at least two decades. The Transportation Department said Tuesday that just one in every 19,000 passengers was kicked off an overbooked flight in the first six months of this year. That's the lowest rate since the government started keeping track in 1995. The biggest decline took place between April and June, partly because airlines began paying many more passengers to give up their seats. United Airlines is being criticized after cellphone video surfaced of a passenger being forcibly removed from an at-capacity flight leaving from Chicago's O'Hare Airport Sunday night. NBC 5's Susan Carlson reports. Airlines have routinely overbooked flights for years in the expectation that some passengers won't show up. When a flight is overbooked, airlines typically offer travel vouchers to encourage a few passengers to take a later flight. That practice backfired in April when United employees, whose offers of vouchers were ignored, asked Chicago airport officers to help remove four people from a United Express flight to make room for airline employees commuting to their next flight. A 69-year-old man was dragged forcibly down the airplane aisle and other passengers captured the spectacle on camera phones, turning the incident into a public-relations disaster for United. 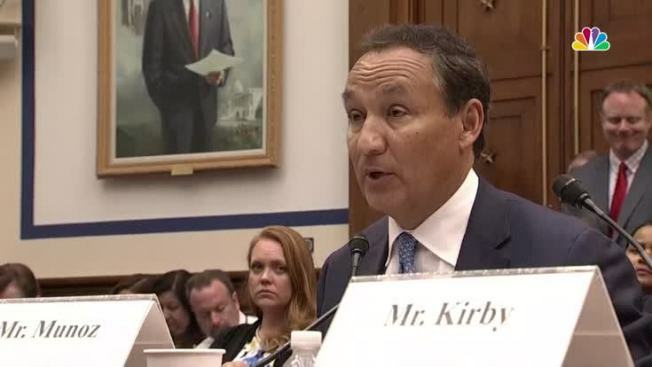 Since then, United and other large U.S. airlines have introduced new measures to reduce overbooking, and raised the maximum amount that passengers can be offered to give up a seat. Passengers still get bumped, however. Besides instances in which airlines sell too many seats, passengers may get booted when a mechanical breakdown causes an airline to use a smaller aircraft, or when the plane's weight must be reduced for safe takeoff. 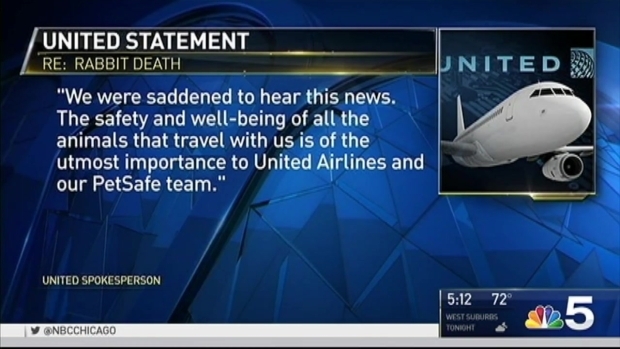 United Airlines spokeswoman Megan McCarthy said the carrier has sharply reduced bumping since the April incident. United booted 1,964 passengers in the first six months of 2017, with more in the second quarter than the first. However, McCarthy said, bumpings dropped from 957 in April to 61 in May and 46 in June. The Transportation Department did not provide a monthly breakdown. Travelers were least likely to be bumped on JetBlue Airways, Hawaiian Airlines and Delta Air Lines. Spirit Airlines had the highest rate of booting passengers, although Southwest Airlines, a much bigger carrier, bumped the most people, 2,642 in six months. United's rate exactly matched in the industry average. United, JetBlue, Delta and Southwest all convinced more passengers to give up their seats than they had in the same period a year ago. The Transportation Department issued the latest numbers of bumped passengers as it released its monthly report card on airline performance. The department said 76.2 percent of flights in June arrived on time, down from 78.0 percent in June 2016. The government counts a flight on time if it arrives within 14 minutes of schedule. Hawaiian Airlines had the best rating among the 12 largest U.S. airlines, and JetBlue Airways had the worst rate — two of every five flights arrived late. Consumer complaints about U.S. airlines ticked up 3 percent to 1,115 in June. That is a tiny fraction of the millions of airline travelers, but most people who complain go straight to the airline, not the government. If you've flown lately, you know how long it can take to get through security. 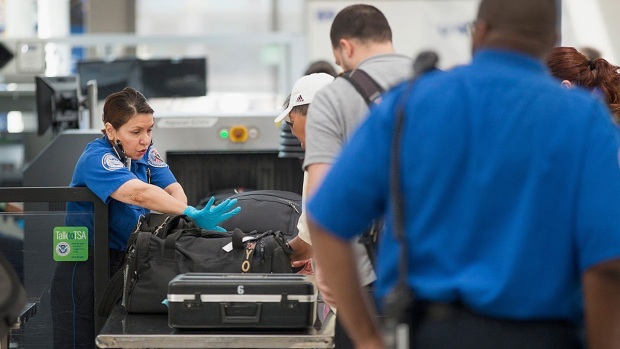 News4's Justin Finch has the top travel tips the TSA says can move you through faster. United had more complaints than average but not the worst rate. That belonged to discount carrier Spirit Airlines by a wide margin. Alaska Airlines had the lowest rate of complaints. The on-time ratings will be expanded next year to cover 18 airlines, including Allegiant Air, a discount carrier, and Envoy Air, a major operator of American Eagle flights.